This guy is the real deal, taking "cameraitus" to the next level. 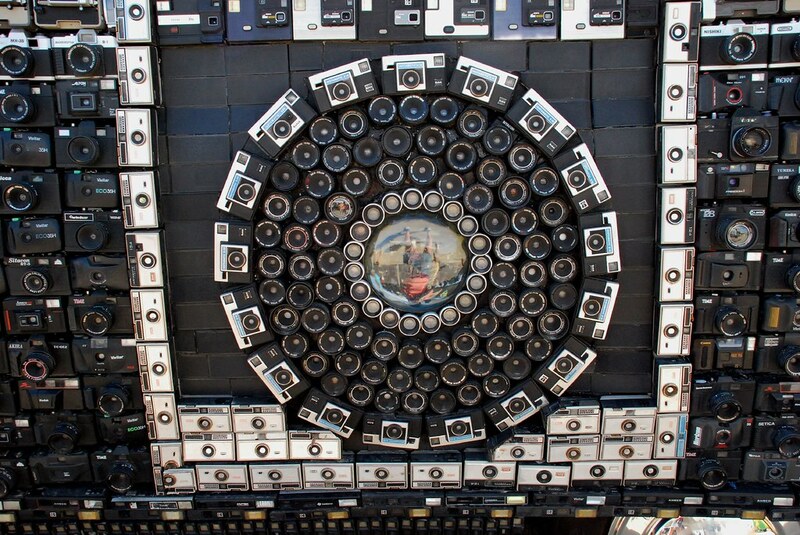 Harrod Blank's vision from a dream came to be in 1995, after 2 years of hard work and countless camera installations. 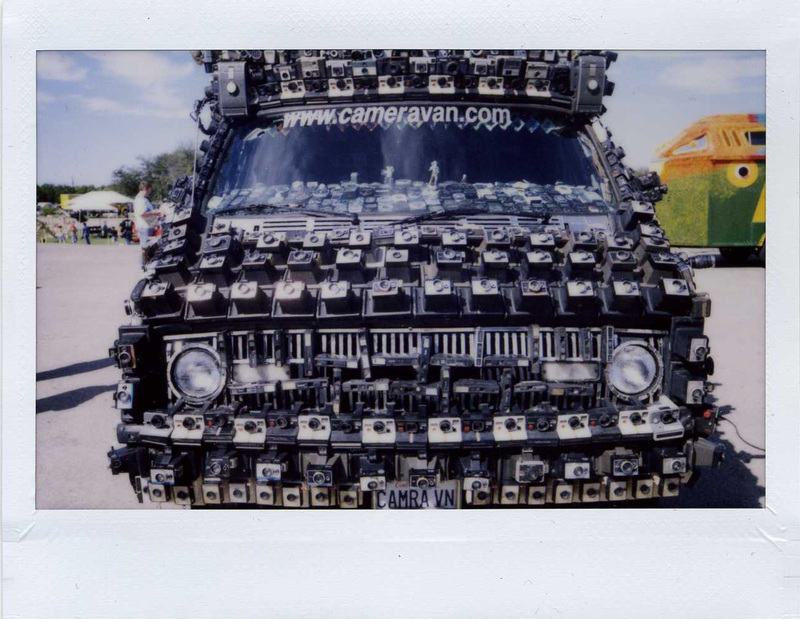 Not just arbitrarily arranged, each part of the van displays thematically grouped lenses, either in model and make or by mimicking the look of a real camera, as seen here . Additionally there are 4 tv screens on the passenger side, as well as two large screens affixed to the rear. Blank travels the country showing off his creation. I happened to catch him at the recent Maker Faire and for me it was definitely one of the highlights. My moment of glee was only heightened by the fact that on the tv screens played an awesome rap video by Elmer “Spoon Man” Fleming, who himself has a decked out automobile, covered in (what else), spoons. For more photos of the van you can check out my flickr or go the official camera van website. If you go to the latter have fun checking out the "groovy" theme song.